You’ve been accused of a crime. You fought your charges and took the case to trial. The unthinkable happened – you were found guilty! What can you do? Is all hope lost? Maybe not. While only a small number of criminal convictions are overturned on appeal, it is very important to preserve all options during your trial and upon conviction. If you are not careful, you can risk waiving certain rights, including your right to appeal your conviction. At the Law Offices of Todd K. Mohink, P.A., we are committed to fighting for the rights of each and every person we represent, from intake through appeal. 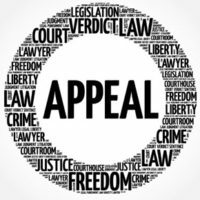 Here’s what you should understand about preserving your right to an appeal. Sometimes you may feel your strongest argument is the only one you need. However, a good criminal defense attorney knows that sometimes the key is not just presenting a strong case at trial, but rather it is making sure all issues are raised. Here’s how this works. You are charged with drug possession in Maryland. The police officer pulled you over, claiming you ran a stop sign. You know you did not run a stop sign and suspect the stop was made because of your race. When the officer pulled you over, he discovered a small amount of a narcotic substance and placed you under arrest. However, at some point the police mishandled the evidence and broke the chain of custody. In this example, there are a couple of arguments your attorney can make. First, he could argue that the evidence should be excluded because the police failed to maintain proper evidence handling procedures. Second, he could argue that there was no probable cause for the stop. The key is, if you fail to raise one of these arguments at the trial level, then you lose the right to appeal your conviction on those grounds. Therefore, even if one argument is much stronger, you need to raise each potential argument, just in case you lose. There are times in any case where a court’s decision may pretty much decide the case. For instance, if a judge denies a request to throw out key evidence against you, then it may have the net effect of stripping you of your only defense. Nevertheless, you can’t immediately appeal the case. You actually have to go through the motions of having a trial and being convicted before you can appeal. There are, however, some exceptions. If a final court order resolves the ultimate issue in your case, there are specific situations where your attorney may be able to immediately appeal that decision to get a decision from a higher court. After a conviction, you have a short amount of time to file post-trial motions, seeking reconsideration of evidentiary matters. Likewise, you have just 30 days to seek a new trial or to file a notice of appeal. See Maryland Court Rule 8-202 for more detailed information on this Rule. Many defendants find that they were poorly represented by a public defender or inexperienced attorney during their criminal trial. Sadly, this does happen. If this is the case, then you should seriously consider consulting with an experienced criminal defense lawyer right away in order to preserve your case for appeal. Call the Law Offices of Todd K. Mohink, P.A. for help with your appeal today.